Jurgen Klopp could call upon Emre Can in tonight’s friendly with AS Roma, with our dynamic German back from holiday following his extended summer break. The 22-year-old was given more time off because Germany got to the semis of the Euros, so we’ve yet to see him during any of the pre-season friendlies. Can’s performances under Klopp last season mean he’s expected to be our starting central midfielder this coming campaign, with the captain Jordan Henderson and vice-captain James Milner among those vying for a role alongside him. “It was a short break for me but I enjoyed it,” Can told Liverpoolfc.com. “Last season was a long season for me. Now after the break, I’m ready to play football again. “I didn’t have such a long time off and I didn’t lose too much fitness. I feel that in training. “Of course, I have to come again. I’m very happy to be back and I can’t wait until the Premier League starts. Before he met up with the squad, Can was pictured with our legendary former skipper Steven Gerrard – who lunched with the young German in LA – where the midfielder now plays for LA Galaxy. “I met him in LA and we went for lunch. It’s always great to see Stevie,” he continued. Can played with Gerrard during the 2014/15 season, but he’s now established himself as a regular and is improving at a rate of knots. He’s strong, has incredible feet and his composure on the ball is getting better. 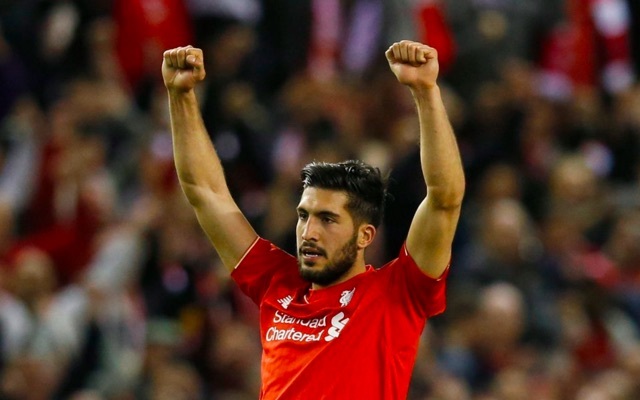 If he can continue progressing at his current rate there’s no limit to how good a midfielder he can be for Liverpool.